Looking for a fabulous date night meal? Grilled Salmon is the dish to make. Don't fear grilling salmon. It is very easy and quick. Some people don't like salmon, I used to be one of them. Salmon can have a strong fish taste, but there is ways to tame the strong taste. I have tried some recipes that use brown sugar and soy sauce. 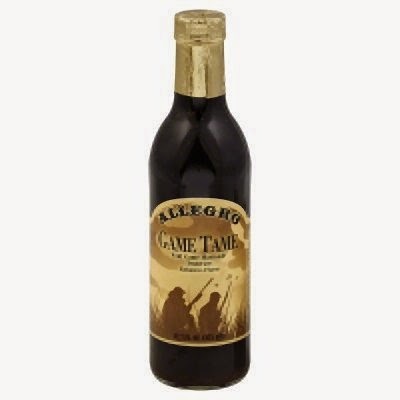 But I think my favorite is Allegro Game Tame Marinade . 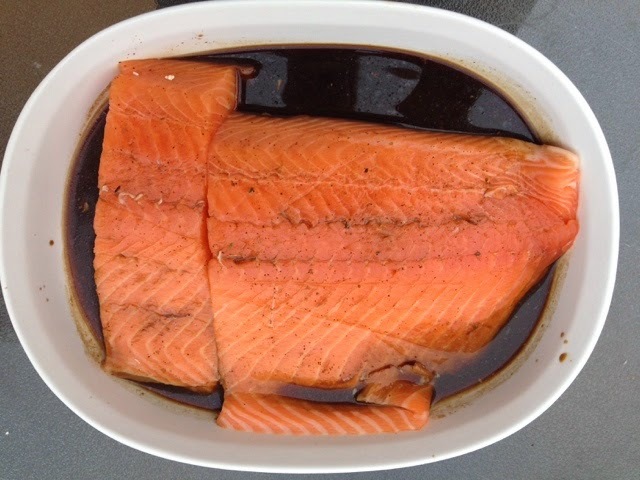 Once you find your favorite marinade, marinate your salmon for several hours before cooking. Cut the fish in sections. It helps in removing the fish off the grill when the fish is done. When your salmon is almost done marinating, fire up the grill. When cooking salmon I would either use a grill plank (board) or reynolds wrap. You need something to support the fish. Fish is delicate and sometimes it breaks into pieces when cooked. Cook the salmon on low for about 12 minutes depending on the thickness. Keep the salmon moist while cooking. I usually pour more marinate on the meat while it grills. Once the salmon is grilled to your perfection use a spatual to remove it to a plate. As you can see salmon is very easy to cook. Try cooking it on a seasoned grill plank or make your own rub. I have never cooked on a grill plank and I want to try here soon. Don't forget you can buy salmon with the skin on one side or with out. 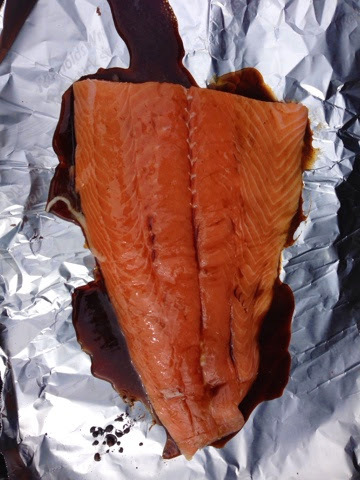 If you buy the salmon with the skin,when the salmon is done you should be able to remove the skin with a spatula before you remove it from the grill. I buy my salmon with out the skin. To add to the perfect date night meal add some grilled asparagus and you have a fab meal. Like always I love to hear how you cook your salmon. Is there a special marinade that you use? 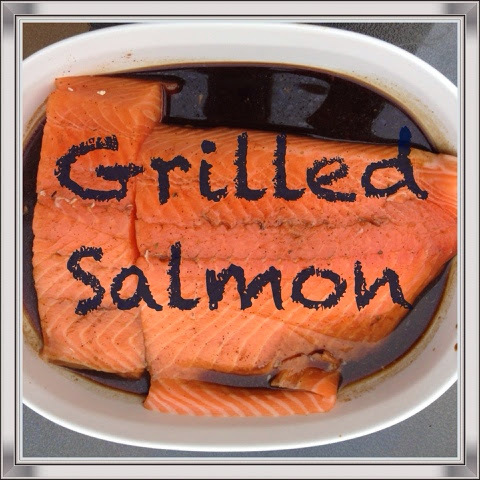 If you would like to share you favorite grill recipe by guest blogging please send me a message and I will contact you with a date. Check out my other grill posts from the series Grilling 101. Disclaimer: I did not get paid to advertise anything in this post. The views expressed is of my own liking and what I use for my family.